This burnt peach duo won’t let your dreams be dreams. Add the perfect amount of fresh colour and glow just in time for spring. 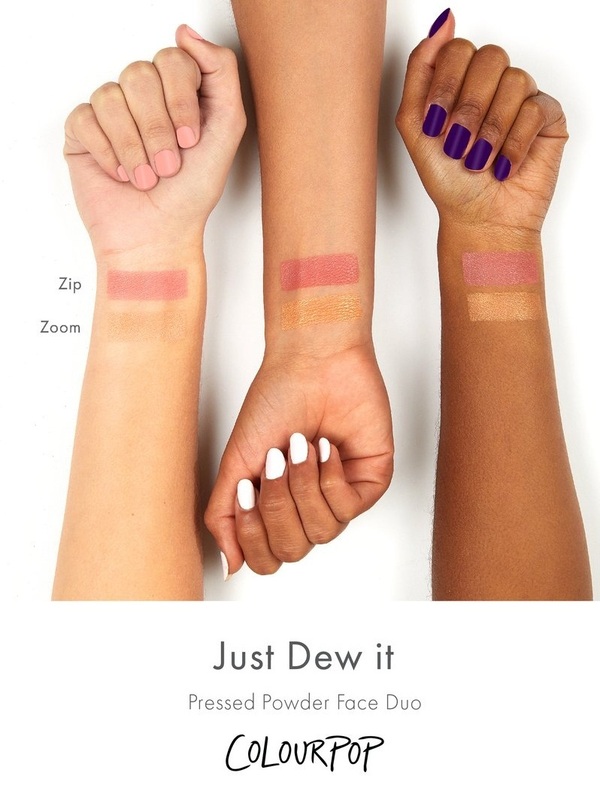 Wear Blush alone or layer for more dimension. For a rosy-cheeked look, start at the apples of the cheek and blend upwards. Use with your favorite blush brush. Apply Highlighter to the cheekbones, bridge of nose, above cupid's bow, under and/or above brows. Use a variety of sized brushes depending on where you are applying the highlighter. Recommended for all skin types. Pressed Powder Blush A rich blush that glides on smoothly and leaves cheeks with a natural and healthy flush. This formula contains silky powders that adhere to the skin, providing long wear and colour that stays true all day! 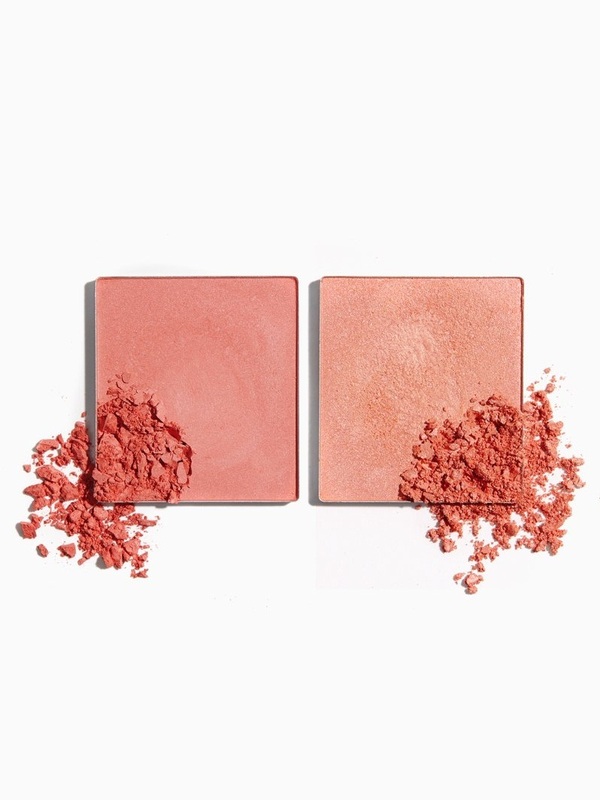 This soft-feeling blush blends evenly and can be layered to your desired intensity. 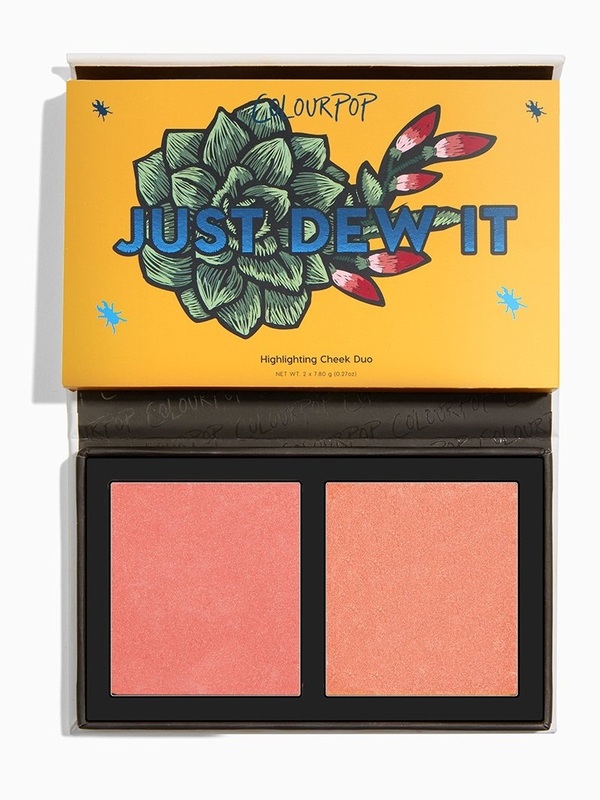 Pressed Powder Highlighter Highly reflective highlighter that gives your skin high-shine with a radiant glow. 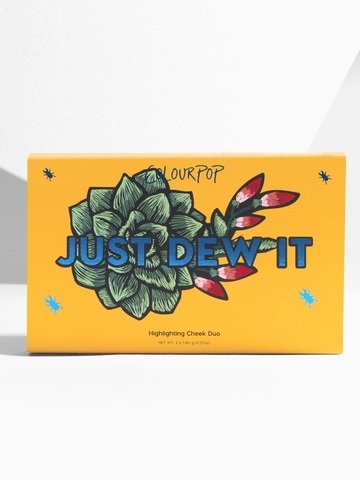 It contains buttery-soft powders that feel creamy, apply super smoothly, and blend evenly on the skin. High colour intensity from the pearls leaves a luminous, satiny feel. ZIP: Talc, Nylon-12, Distarch Phosphate, Magnesium Myristate, Ethylhexyl Palmitate, Octyldodecyl Stearoyl Stearate, Silica, Dimethicone, Phenoxyethanol, Butyrospermum Parkii (Shea) Butter, Caprylyl Glycol, Octocrylene, Ethylhexylglycerin, Hexylene Glycol, Iron Oxides (CI 77499), Mica (CI 77019), Red 40 Lake (CI 16035), Titanium Dioxide (CI 77891), Yellow 5 Lake (CI 19140). ZOOM: Synthetic Fluorphlogopite, Zinc Stearate, Dimethicone, Boron Nitride, Caprylic/Capric Triglyceride, Silica, Dimethicone/Vinyl Dimethicone Crosspolymer, Phenoxyethanol, Dimethiconol, Caprylyl Glycol, Tin Oxide, Ethylhexylglycerin, Hexylene Glycol, Butylene Glycol, Bismuth Oxychloride (CI 77163), Iron Oxides (CI 77491), Mica (CI 77019), Titanium Dioxide (CI 77891).